Home Remedies for Gout - This is One Powerful Cure! Eating a handful of cherries and berries everyday is the natural remedy for gout "bomb!" Overwhelming evidence has now been able to prove that cherries and berries treat and heal gout and gouty arthritis. These amazing wonders of nature work by reducing your uric acid levels (which cause gout) and then keeping them down to prevent further attacks. And it’s not just the red cherries you'll benefit from either. Black cherries, and in fact, all cherries and berries, including blueberries, goji berries and cranberries, substantially reduce uric acid levels in the body. The secret to using this remedy is, firstly... you must eat cherries and berries every day, and secondly... you must eat enough of them! Go for at least six cherries and a handful of berries each day, either in fresh form or snap frozen, or take them as supplements (or a combination of both). And keep in mind that it will take about a month for the full effects to kick in so you'll need to be a little patient. No attacks of gouty arthritis occurred on a nonrestricted diet in all cases, as a result of eating about one-half pound of fresh or canned cherries per day. One doctor said: A patient of mine had heard about cherries for gout. He was, in fact, a sufferer of gout himself. He decided to give the cherry therapy a try. After following this patient’s progress over the past two months, I can only say the results have been nothing less than spectacular. The patient has ceased taking the prescribed medication for his gout and has an unlimited diet. This alone should make any gout sufferer take notice. He described how he had cured his crippling gout, which had confined him to a wheelchair, by eating six to eight cherries every day. Continuing to eat cherries, he claimed, kept painful gout away. He also cited twelve others who had cured their gout by eating cherries or drinking cherry juice. Soon afterward Prevention Magazine added to the mystery and mystique by publishing Dr. Blau’s advice to use cherries as gout medicine. In a 1950 study, 12 patients with gout ingested one-half pound of cherries per day (or an equivalent amount of cherry juice), with no other dietary restrictions. In all 12 cases, serum uric-acid levels fell to normal, and the patients had no further attacks of gout. Cherry juice appeared to be as effective as whole cherries. While most of the results were obtained with black cherries, sweet yellow and red sour cherries were also effective. 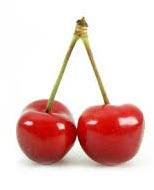 We have been impressed by the effectiveness of cherry juice as a treatment for acute gout. 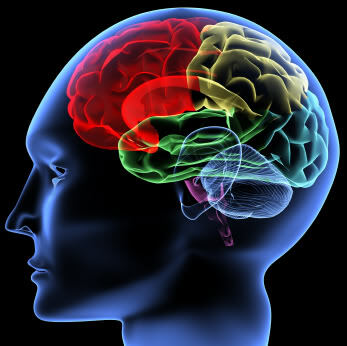 Physicians prescribed cherries for epilepsy. In the 1920s in the United States, physicians touted black cherries to cure kidney stones and gall bladder ailments, and red cherries to remove phlegm. In 1950 Ludwig Blau, Ph.D., writing in Texas Reports on Biology and Medicine, claimed that he cured his crippling gout that confined him to a wheelchair by eating six to eight cherries each day. As long as he ate cherries, he avowed, the gout stayed away. According to research from Michigan State University, if gout attacks, chew on some cherries. Dr. Muralee Nair, lead author of the study, suggests eating about 20 or so cherries a day to reduce the swelling and ache of a sudden gout attack. “Daily consumption of cherries,” Nair says, “has the potential to reduce pain related to inflammation, arthritis, and gout.” Some researchers think cherries might work as well as drugs, without the side effects. Cherries, hawthorn berries, blueberries, and other dark red or blue berries are rich sources of compounds that favourably affect collagen metabolism and reduce inflammation of joints. Bioflavonoids found in black cherries have been used to reduce uric acid levels and decrease tissue destruction associated with gout. Gout patients should eliminate alcohol intake, which both increases uric acid production and reduces uric acid excretion in the kidneys. Blood-sugar balance-blood study of twelve people with gout found that eating one-half pound of fresh or canned cherries or drinking a full quart of cherry juice prevented gout attacks. 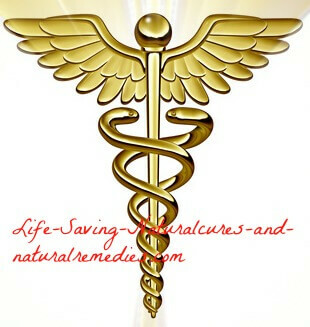 In all twelve people, uric acid levels returned to normal, and the gout attacks ceased. Celery and cherries appear to be very effective in lowering uric acid levels and preventing attacks of gout. Celery contains the compound 3-n-butylpthalide, while cherries are a rich source of flavonoids. Both of these compounds are beneficial in gout via several mechanisms, including the ability to inhibit the formation of uric acid by inhibiting the enzyme xanthine oxidase. Eat more blueberries and cherries, because they’re rich in substances that counteract purines, which cause gout, says Julian Whitaker, M.D., founder and president of the Whitaker Wellness Centre in Newport Beach, California. 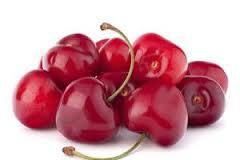 He says that some gout patients report finding relief by eating from a handful to up to 1 pound of cherries each day. He also advises people with gout to avoid anchovies, asparagus, mushrooms and organ meats such as liver and kidney, since they’re high in purines. For maximum benefit, nutritionists recommend organically grown cherries that are bottled or canned without the addition of sugar and chemicals, available from manufacturers of health food store products. Additional case studies, one woman reported that her husband obtained complete relief from gout in his toe and that the pain in his back and shoulders had eased within two days of eating sweet cherries. Another gout sufferer drank cherry juice daily for one week and reported that the pain in his knee, which had tormented him almost beyond endurance, was gone. Nutritionally minded health-care professionals and other healers have known for eons that cherries help relieve the pain of gout, but now we have a scientific explanation for why. Compounds in cherries lower levels of uric acid in the blood. Less uric acid, fewer disposal problems, fewer crystals, less pain. A study at the University of California-Davis showed that consuming two servings worth of cherries daily (280g total) after an overnight fast significantly lowered the blood uric acid of women by as much as 15 percent. Finally, cherries are particularly useful in the treatment of gout. Gout is a type of arthritis associated with an abnormally high concentration of uric acid in the blood. Uric acid is produced in the liver and enters the bloodstream. Under certain circumstances, the body produces too much uric acid or excretes too little. As uric acid concentrations increase, needlelike crystals of a salt called monosodium urate form. In time, these crystals accumulate in the joints, causing the inflammation and pain typical of gout. Berries, especially cherries, strawberries, and blueberries, neutralize uric acid. Eat fresh berries as snacks or for dessert, and drink a glass of cherry juice every day. Flaxseeds are a highly concentrated source of essential fatty acids, the “good” fats that reduce inflammation. Add flaxseeds to juices, salads, or fruit plates, or use the oil as a salad dressing. One of the most important foods you can eat to prevent gout is fish. Eat fish such as salmon, cod, halibut, and sardines, as they reduce inflammation.